I am so grateful that I ended up in Ireland to further my education. I can still remember all of the worries and excitement I had about travelling here. Even though it was hard to leave my home behind and travel half way across the world, I don’t regret it for a second — this was the opportunity of a lifetime. Studying in Ireland is not usually a popular choice back home in Malaysia so I had to give it a lot of thought. I have always wanted to study politics, however that can be difficult to do in Malaysia. Receiving the offer letter from Trinity was one of the major turning points in my life. You can imagine my delight when I arrived to discover that one of the statues guarding the front of Trinity is of Edmund Burke, one of the most famous political theorists in history. The course I am studying in is referred to as BESS, which includes Business, Economics and Social Studies. The course is designed to offer students an introduction to social science subjects. In second and third year, students can choose the pathways they prefer by selecting some subjects that they wish to major in. In my case, I chose politics and economics out of the other two subjects, which are business and sociology. I consider myself lucky that I can study in such a beautiful college. It feels so good watching all of the tourists coming here just to take pictures while I get to walk around this gorgeous campus every day. I never get sick of the views in college. I can still remember that my parents were in awe as soon as they saw it. 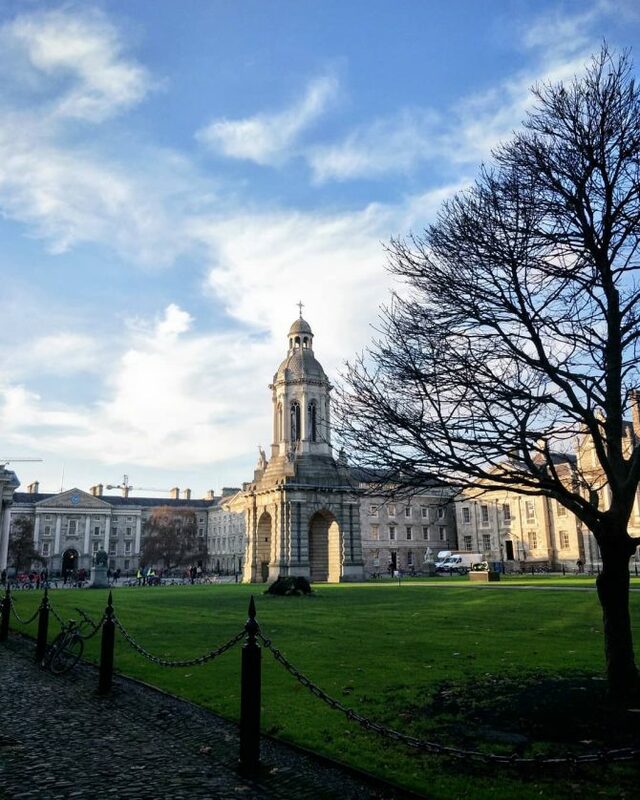 Trinity College has an excellent location in the heart of Dublin city centre. 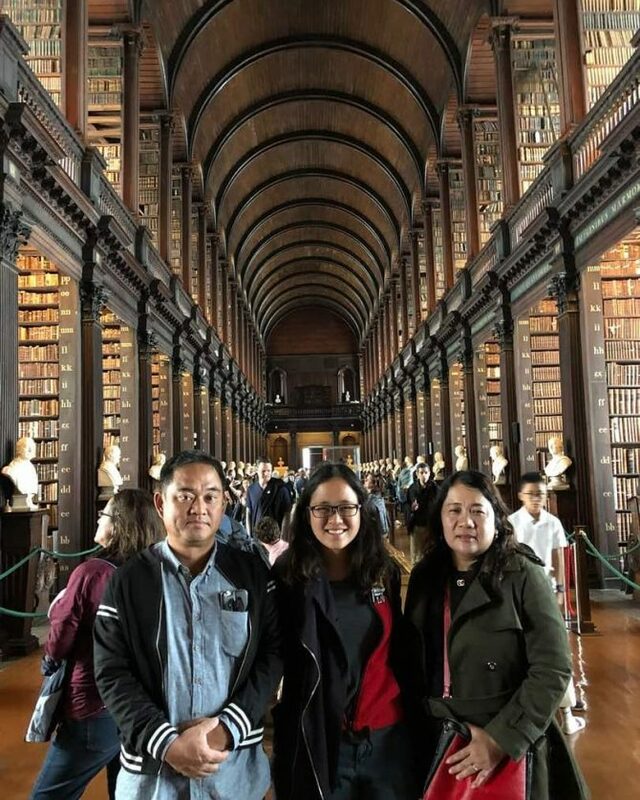 I always tell my friends that it is okay to get lost in Dublin, just tell the Dublin Bus drivers that you want to go to Trinity College and you can easily find your way home. It is really accessible and any bus that passes through the city centre will have a bus stop near the college. It has truly been such an honour to study in one of the most prestigious universities in Ireland. Sometimes I feel so connected with the college as if I have been here before in a past life. I feel immensely proud and grateful to say Trinity College Dublin will be my alma mater.